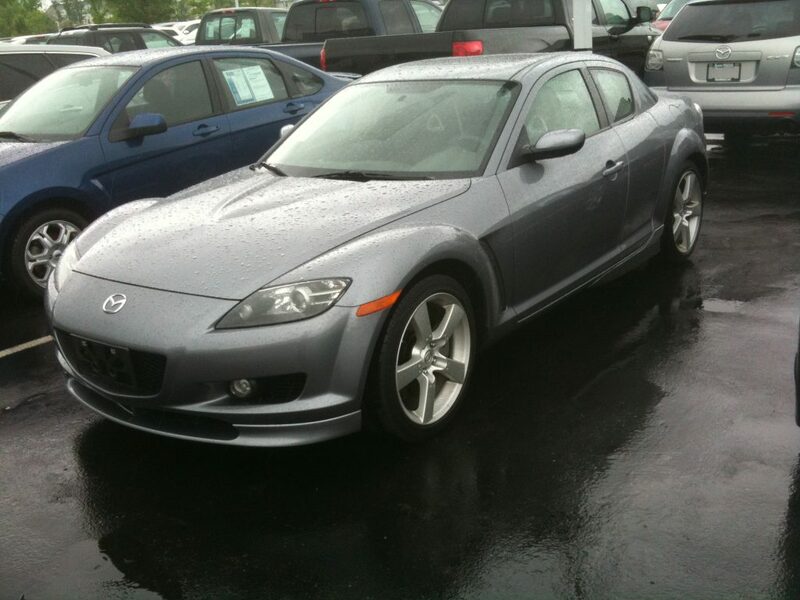 After owning One and the only one of the kind Turbo Gen2 Solara, Mazda RX-8 was my choice of ride. Turbo Solara had a great torque, and decent power for the size of the car, but the chassis was not made to driven hard. I found myself wanting something like…. a sports car. Initially, I was looking at Miata, and I loved it, well, still love it… however, being 2 seater, and convertible, I could not get SWMBO (She Who Must Be Obeyed; AKA: Wife)’s approval. That’s when I saw her, RX-8. Being my first stick shift, light clutch and very short shift felt very easy to drive, and I almost instantly fell in love. I test drove a few, and found myself more and more attached to the unique look, and later great handling. SWMBO was happy with my choice. I started my practice of driving stick, first in the Walmart parking lot, and then soon all the back roads around the town. After a year, I finally felt ready to take my RX-8 to where she really belongs to. A race. I start going to Autocross, with Cincinnati SCCA. It has been a great experience, learning the limit of the car, and appreciate the chassis strength, well designed suspension, and great weight balance. There is a very long journey in front of me, before I can call myself “know how to drive”. anyone wants to make donations, or convince SWMBO that it’s okay to modify my 8?? ?